5. 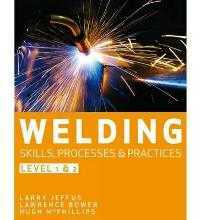 Welding Joint Design, Welding Symbols. 6. Fabricating Techniques and Practices. 8. Shielded Metal Arc Equipment, Setup, and Operation. 9. Shielded Metal Arc Welding Plate. 10. Shielded Metal Arc Welding Pipe. 11. Gas Metal Arc Welding Equipment and Materials. 12. Gas Metal Arc Welding. 13. 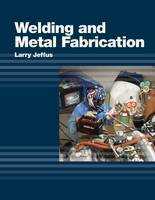 Flux Core Arc Welding Equipment and Materials. 14. Flux Core Arc Welding. 15. Gas Tungsten Arc Welding Equipment and Materials. 16. Gas Tungsten Arc Welding. 17. Oxyfuel Welding and Cutting Equipment, Setup, and Operation. 19. 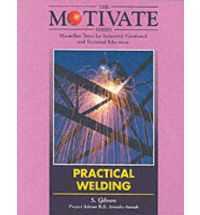 Soldering, Brazing, and Braze Welding Processes. 23. Arc Cutting, Gouging, and Related Cutting Processes. 25. 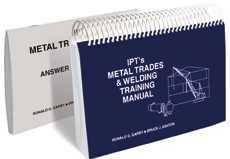 Welding Automation and Robotics. 30. Testing and Inspecting Welds.